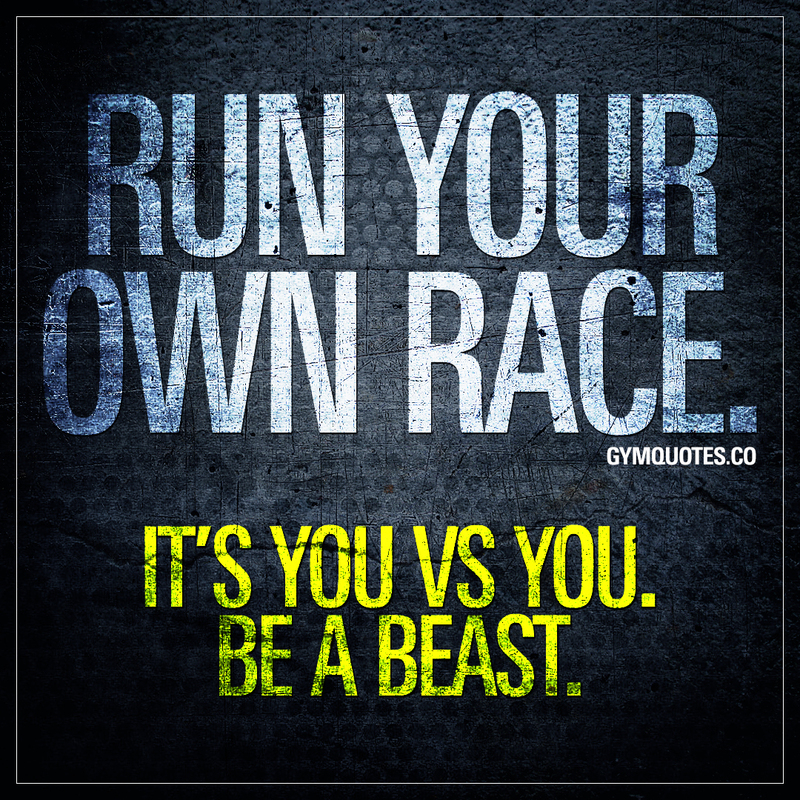 Gym Motivation quotes: Run your own race. It's you vs you. Be a beast. This “Run your own race. It’s you vs you. Be a beast. ” quote (image and text) is copyright © Gym Quotes 2019.